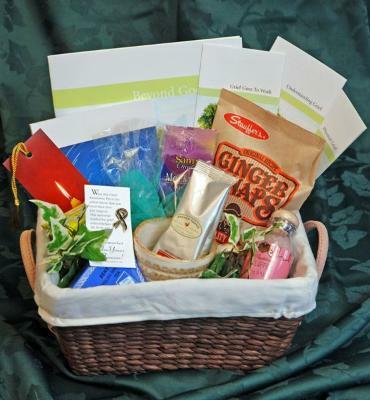 A Sympathy Gift Basket allows you to give a gift that keeps on giving long after flowers have wilted and faded away. Our unique baskets are personalized for each recipient. 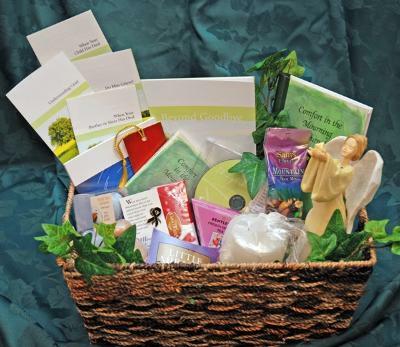 The contents of this basket will contain written information that is designed to specifically meet the needs of the recipient and the nature of his/her loss, i.e. parent, child, sibling, pet, etc. 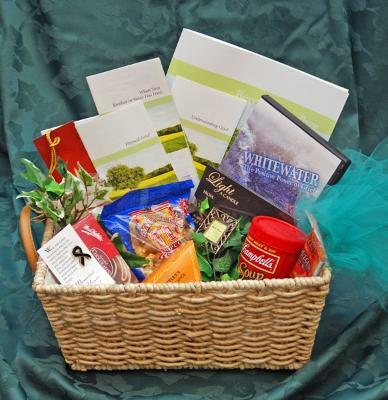 Baskets will include such things as coffees, teas, coffee mugs, journals, books, CD, DVD’s, candies, cookies , stuffed animals, photo frames, candles etc. It will also include a distinctive luxury gift valued between $30 and $40. 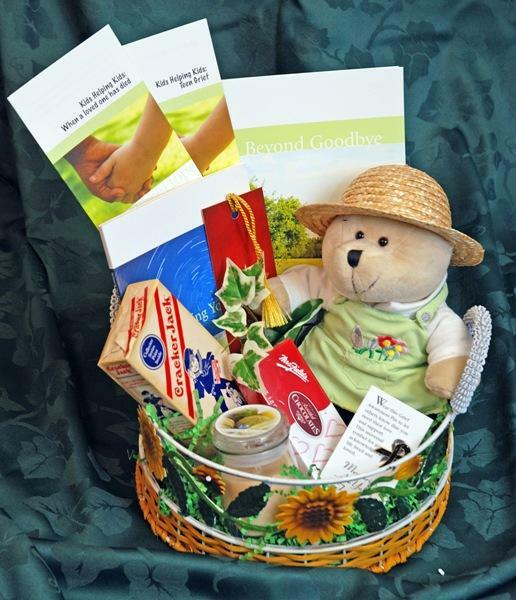 All baskets are designed to educate, comfort and soothe those who are grieving. 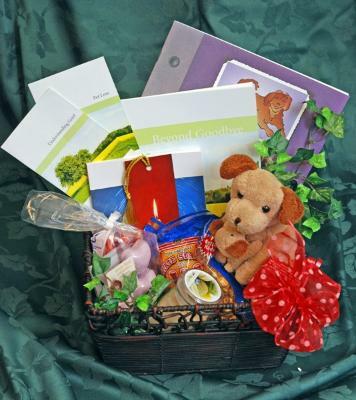 When ordering a basket make sure to let us know if it is for a male or female , adult or child and the nature of the loss, ie., death of a parent, spouse, child, grandchild, pet etc. Below are samples of our baskets but realize that each basket will be personalized and vary depending on the nature of the loss and the amount you choose to spend. Basket prices begin at $75.00.